GRAYLING (LCDR Robert M. Brinker) departed Fremantle on 30 July 1943, for her eighth patrol, going through Makassar Strait and thence to the Philippine area. On 19 August, she reported having damaged a 6,000 ton freighter near Balikpapan, and the following day told of having sunk a 250 ton Taki Maru type pocket tanker by gunfire in Sibutu Passage, taking one man prisoner. This was the last report received direct from GRAYLING. On 23 August, she completed a special mission at Pandan Bay, Panay, delivering cargo to guerrillas. This mission was reported by guerrillas. Then she departed for Tablas Strait, there to reconnoiter until 2 September, when she would patrol approaches to Manila until 10 September. 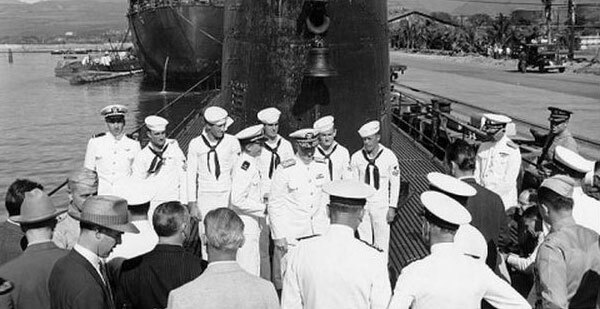 She was to return to Pearl Harbor for refit, passing from SubSoWesPac to Subpac on 13 September. She was not heard from after 20 August 1943, and on 30 September 1943, GRAYLING was reported as presumed lost. Following war's end, the Japanese have submitted the following reports, which bear on GRAYLING. On 27 August 1943 a torpedo attack was seen by the enemy at 12° 36'N, 121°33'E, and the next day a surfaced submarine was seen at 12° 50'N, 121° 42'E. Both of these positions are in the Tablas Strait area. 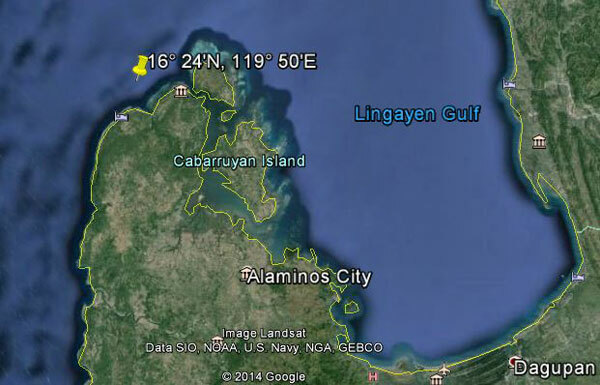 On 9 September a surfaced U. S. submarine was seen inside Lingayen Gulf; this ties with GRAYLING's orders to patrol the approaches to Manila. It is said that the freighter-transport HOKUAN MARU was engaged in a submarine action on the 9th in the Philippine area, but no additional data was available, and no known enemy attacks could have sunk GRAYLING. Her loss may have been operational or by an unrecorded enemy attack. At any rate, it is certain that GRAYLING was lost between 9 and 12 September 1943 either in Lingayen Gulf or along the approaches to Manila. ComTaskFor 71 requested a transmission from GRAYLING on the latter date, but did not receive one. GRAYLING's first patrol, made in January and February 1942, was a reconnaissance of the northern Gilbert Islands. She went to the Japanese homeland for her second patrol, and sank a freighter and damaged a sampan. Truk was the scene of GRAYLING's third patrol; she sank a large freighter. 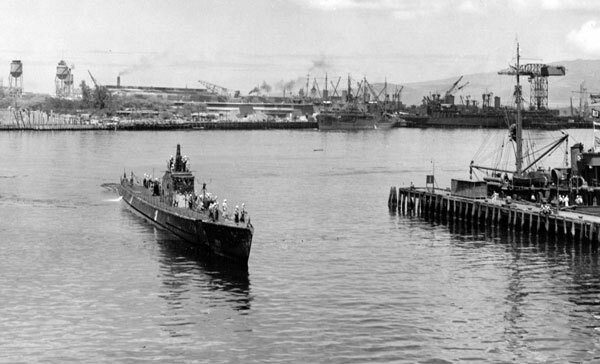 On her fourth patrol, this boat again went to Truk, and sank a medium tanker, while she damaged an aircraft transport. In January and February 1943, she patrolled the approaches to Manila on her fifth patrol. Here she sank two freighters and a medium freighter-transport. GRAYLING patrolled the lesser islands south of the Philippines on her sixth patrol, and sank two freighters, a small freighter-transport and two schooners. Damage was done to a large tanker and two freighters. She went to the area west of Borneo for her seventh patrol, and sank a medium freighter and two sampans. Damage was done to a large tanker. Thus GRAYLING's total record is 16 ships sunk, totaling 61,400 tons, and six ships damaged, for a total of 36.600 tons. See also Ed Howard's Final Patrol page on USS Grayling (external link).